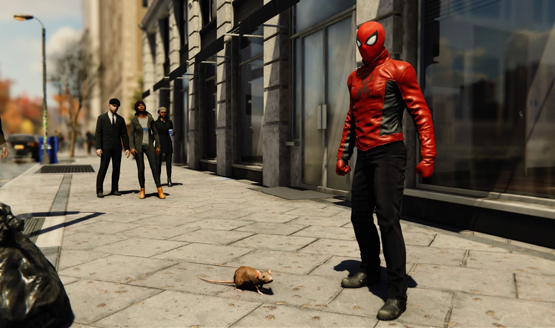 Marvel’s Spider-Man is finally out and it’s a massive hit. Critics love it. Fans love it. Insomniac plans to continue to support it with DLC and updates, including a New Game+ mode coming soon. 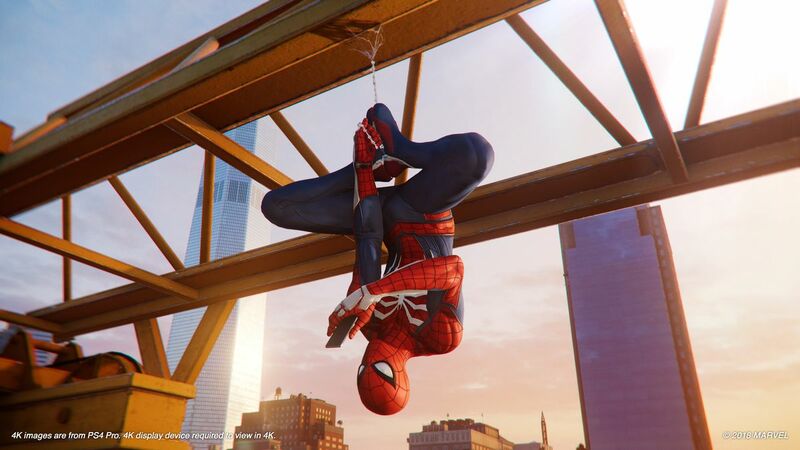 Here at PlayStation LifeStyle, we’re big fans of video game music, so when we got the opportunity to sit down with the Marvel’s Spider-Man composer, John Paesano, we were eager to hear what he had to say about his process of writing music for the game. Paesano is an experienced composer with a number of notable credits under his belt. He’s done music for The Maze Runner series of films, Netflix’s Daredevil and The Defenders, and in video games, you can hear his work in Mass Effect Andromeda, Detroit: Become Human (Markus’ soundtrack), and now, of course, Marvel’s Spider-Man. We asked him about his work across all three mediums (film, television, and games), and how he uses music in order to make a superhero feel more relatable. PSLS: You did the soundtrack for the new Spider-Man game. Tell me a little bit about that. That’s pretty exciting, pretty big. When you’re looking at all the hype surrounding it, did you expect it to be this big of a thing? John Paesano: It’s funny, when you get started on these things, it’s so early in the process you can’t really predict how big or how not big it’s going to be. It’s Spider-Man, you know, it’s always been a big property, but it’s been done so many times that you kind of never know how people are going to react to the initial idea of it. Are people going to be really excited about it, or because it’s kind of been with us for awhile now, are people just going to go, “oh, it’s just another Spider-Man game. As we started working on it, it didn’t take too long to find out that it really is kind of a special project and a lot more. It was done so tastefully and on such a high level that you kind of knew it was going to be something special as soon as we got running with it. PSLS: How early in the process were you involved and how involved with the overall process of the entire game were you? Was it just the soundtrack side or have you had a lot of eyes on, or even suggestions throughout story development and things like that? Paesano: I think I worked on the game for almost two years, so I was on—and it was smart on their part—from a very, very early stage. Bryan’s a big fan of music. He knows the importance of it in the game and because he really wanted this to feel as cinematic as possible, it really became important that the music just wasn’t kind of underscore and functional, but it was actually a character in the game. He really wanted to utilize themes, and he wanted the theme development, and he wanted the characters to have themes. So from that aspect of it, I was brought in from, I would say probably towards the end of story development and all the way through the final development of the game. Which was awesome because, especially these days, composers get brought on so late in projects that the process of trying to figure out what doesn’t work before you figure out what works gets rushed through. Writing music for any type of film, game, episodic series, there’s a process where you kind of have to go through a large experimental phase before you land on what’s going to work for the property. So I think it was smart of them to bring me in early and to allow us to experiment through that. I mean, it took us a couple months just to find our initial theme and concept. And then from there all the other themes kind of split off from it for other characters throughout the game. So I would say in all in all, I was really brought in from an early phase, but we really utilized all the time that we had developing all the different themes for all the characters. PSLS: So while you were developing all those themes you mentioned—obviously Spider-Man has been done in a million different iterations before video games, movies, TV shows, comics, everything—he’s had different themes before. Was that something that you looked at? How Spider-Man had been portrayed previously and previous musical themes or did you approach this with completely fresh eyes? Paesano: That’s a good question. Because Spider-Man had been done so many times before, and not just from a musical aspect, but also from a story aspect. Spider-Man has always been a fun, bouncy kind of character. You know, he’s got a lot of banter obviously, whether it’s in the films or the comics, he’s always kind of being portrayed by this young teenage, happy-go-lucky kid. And I think Bryan’s approach on it was in this version of Spider-Man, they aged Spider-Man up a little bit. 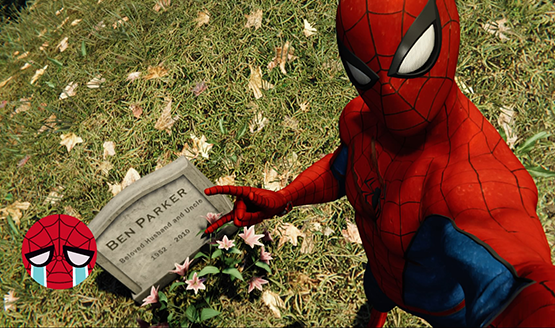 He’s no longer Peter Parker, the teenager. He’s a little bit older, they aged him up a little bit. He’s already been Spider-Man. It’s not an origin story, so to speak. So I wanted to kind of do the same thing with the music. Spider-Man music has always been very bright and fun. It’s always had a wink and a smile with it. And I really wanted to kind of give him a more grown up approach. I wanted to kind of give him a little bit more weight, give him a little bit more gravitas as far as his character went. And I think we did that, but it was also still important to keep some of those things that the fans do love about Spider-Man. We don’t want to make him too serious because I think a lot of the charm of Spider-Man is that he does kind of have some of those [qualities]. He has grown up a little bit. He’s not by any means old or anything. But at the same time too, you change a lot from when you’re 16 to when you’re in your early twenties. We kind of wanted to make that reflective. Not only did Bryan in the story, but I wanted to do it too with the music and the feel, and how he views the world. So in the music, I tried to keep some of the old classic elements of that Marvel Universe, but at the same time too, I took the approach where I scored more Peter Parker than I scored Spider-Man. That was the approach I tackled that with. I wanted to get—And Bryan as well, he wanted to have the player and the viewer connect with that struggle between Peter Parker and him being Spider-Man. I approached it from “okay, let’s score Peter Parker and let’s not just score Spider-Man,” if that makes sense. I wanted to give more to his human side and less to his superhero side. PSLS: You mentioned going off of previous Marvel themes—the Marvel Cinematic Universe is a very big thing, you get all these various different movies with different themes across all of them. But I feel like, especially in the soundtrack side of things, there’s a very similar vein that runs through every single one. Is that something that you also looked to, was how big the Marvel Cinematic Universe is? Paesano: Yeah, I think so. You don’t want to completely ignore it, because there’s been so much success with that. And I think Bryan, being conscious of that, wanted it to feel very cinematic. He didn’t want to completely go in an opposite direction from that, just because there are people that love those films, they love those properties. They love the feel of them. They make billions of dollars in the box office, so I think you kind of have to be conscious of that. [But] we’re a little bit different. It’s a good question. It’s one of those things where you kind of have to thread that needle where you want to do your own thing, but at the same time too, there is a reason why those films are so successful and why they do so well. You have to always keep that conscious in the back of your mind and you have to figure out how much you want to stray from that and how much you want to still remain in that world. It’s always this balancing act of making sure that we still feel like we’re part of that world. But at the same time too, we want to give the game and the story its own identity. I think the big thing for us is, essentially when I was going through the game and we were developing these things, I just wanted to try to keep it as simple as possible when it came to the thematic aspect of it. I didn’t want to overload people with “Here’s Spider-Man’s scene, okay, here’s Peter Parker’s scene, okay, here’s…” You could overload people with so many different themes to where all of a sudden it just starts to sound like just a bunch of random music. I really wanted to capture an all-encompassing theme with Peter Parker and Spider-Man and do just reiterations of that theme and skin it in different instrumentation, different arrangements. So people are hearing the same melodic content, but it’s skinned in different ways to give a different feel. I think you will hear the Spider-Man thread throughout the whole entire score. It’s very obvious when that Spider-Man theme comes in. You’ll know when you hear the theme and when you don’t hear the theme. I really wanted to make sure that when we do use the theme, it’s very obvious when that theme is being used. PSLS: So it’s reskinning the themes for different characters. It helps make everybody feel, like you said, not as jumbled and more like they’re part of Peter Parker’s story. Paesano: Yeah. Like for instance, there’s a lot of different characters throughout the game and they all have their own separate themes. But at the same time, Peter’s theme always seems to make it into them at certain points. You know, if Peter is fighting a villain and that villain’s got his own theme, I always tried to make sure that the Peter Parker/Spider-Man vibe was still kind of interwoven within that. You’re always kind of being reminded that this Peter Parker/Spider-Man motif is always kind of weaving itself in and out of these other themes. So even though there are other themes in the game, you’re always going to be getting reminded. It’s kind of like a John Williams technique that he always used to use, or still does use, I should say, in the Star Wars films. You always hear those Star Wars motifs throughout the movie. So you’re always being reminded of what those things are. We do a very similar kind of technique within the Spider-Man game. PSLS: This is not your first outing at all with Marvel, actually superheroes in general, because you did Superman Batman Apocalypse back in 2010 and then more recently you’ve done the Marvel Daredevil and The Defenders Netflix series. How did your work with those, and having done superhero work before, help prepare you for this project? Paesano: Well they’re all so different, you know? I mean, Marvel—it’s interesting with the Daredevil stuff, I almost wanted to take a very similar approach. I scored the first season of Daredevil almost like it was like a film, like Michael Clayton, like it was about a lawyer. I always try to approach him from the non-superhero side, which is interesting. And that was a technique we used for this Spider-Man game. It’s a lot. It’s a little bit of a different animal than Daredevil. 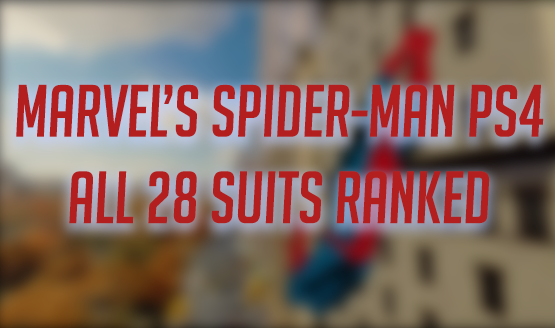 For me, it’s always important with these superhero properties, especially with Daredevil and The Defenders and even with some of the Spider-Man stuff, I’m always trying to ground the character a little bit because it’s almost like—Spider-Man for instance, you know, he’s got a suit. 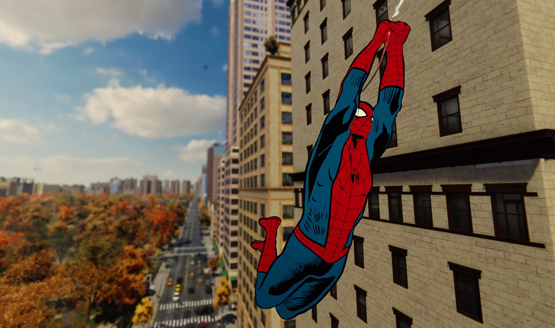 He swinging around the city. There’s very obvious superhero traits to them. So when you throw just a bunch of big superhero music on top of him, sometimes it’s hard to kind of connect them to the real world. Whether they’re watching these properties are playing these games, there’s always this nice connective tissue. I think that happens sometimes, when you can relate them to the real world. I think music can really help with that. If you put this giant superhero on music on top of this giant superhero game, it’s almost like having a sundae and dumping a whole bag of sugar on it. I always try to balance out some of the things a little bit. I always use the word “ground”— to try to ground the character a little bit. It was the same thing with Daredevil, you know, we really kind of scored it like a drama versus a giant superhero. And then of course, at a certain point you have to kind of submit a little bit and go into that superhero world. But it’s always just trying to find that balance between large superhero music, but then also trying to connect into the world that we all live in. And I think when that happens, it can give the story a little bit more weight and can also lend itself to making it seem a little bit more believable, and you can kind of connect it to your real world, which has always been kind of fun. PSLS: And you get the contrast too, between if you go all big superhero the whole time, it just feels all big. Whereas if you go big superhero for specific moments, it can make those moments feel even bigger. Paesano: Absolutely. That’s where the magic happens. It’s the same thing with over-utilizing themes. You don’t want to just, you don’t want to just keep banging people over the head with themes over and over again, because then when you do use it, it really punctuates and it shines through. Honestly, that’s a skillset as a composer you’re always trying to build and get better at. Everybody at the level that I’m working at, everyone can write music. Everyone’s a really good composer. I think the thing that separates the guys who are a little bit more advanced than the guys who aren’t—it’s not necessarily the music, it’s how they’re using the music against picture and learning how to control the score and learning how to apply it to picture that separates the guys all the way at the top to the guys who are still younger and coming up. That’s something that takes a whole career to kind of develop. You take guys like Hans Zimmer and James Newton Howard and John Williams and I mean, these guys have been scoring hundreds and hundreds of films. Then you take a guy like me who’s getting my feet wet in this business and that’s a skill set you kind of have to develop. Every time you work on a project you get better and better at it. You’re always trying to strive to improve. Now with all these different genres too, it’s different. You know, when you do something for a video game, the application’s different than when you do it for a film versus when you do it for an episodic series. There’s just so many different genres now and they all require a different level of that. But the cool thing is, especially with video games, the video game world is right up there with film now when it comes to how we approach scoring the games, how the application of the music is in the games and how you record stuff. It’s very, very close to how we work with big Hollywood studio pictures, which is a lot of fun. It’s a great medium to write in. PSLS: With video games specifically, you’re speaking of getting your feet wet. You’re relatively new to that. You did Mass Effect: Andromeda which came out 2017. You helped with a Detroit: Become Human this year, and then you’re doing Spider-Man now. With film and even with a television series, you have a very precise timeline. You have linear tracks, you have “Oh, this scene is exactly three and a half minutes long, so we need exactly three and a half minutes of music,” you know, where to cut and paste and make the music work for each individual portion. With video games, depending on the game, depending on the scene and everything, that’s a lot more fluid and sometimes players may rush through something or somebody may take their sweet time and just be swinging around the city and smelling the roses. How do you approach writing music for something where it’s going to be so fluid and you really never know when people are going to kind of move on to the next theme or the next track or the next big beat and moment? You did all this work before you actually started applying music to picture. When somebody’s got a movie, you sat with the director and talked about it and he said, “Well we have this character here and we have this character here.” You would go back to your studio or your piano or whatever, and you would develop themes for the characters, not necessarily the picture, but based off of story ideas or conversations or script or whatever the material that was given to you in order to develop those themes. And then a director would come in and he would listen back to those themes on the piano. And then he would say, “I love it, or I don’t like it,” but then then after everything was approved, then you would start applying those themes to the actual film. These days with film, we get the film, we put it in our sequencers, we load in a scene, we look at it and we say, “okay, let’s start writing to this scene right here.” So in a weird way, scoring video games now is kind of like how we used to score films back in the day before we had all the technology because it’s more conceptual. Bryan would come in and some of the guys from PlayStation would come in and they said, “okay, well here’s the general story, here’s some of the artwork. We have these characters, we wanted develop themes for these characters.” So I would just be writing to the conversations that we would have about Spider-Man or about Kingpin or about the Sinister Six and would be coming up with these different themes and ideas. And then once those themes got approved, we would kind of put them in the back pocket and then when those sections came up for the game play, then we would start getting more specific on how we want to apply those themes now to the game. Hopefully that all makes sense, but it is kind of done almost how we used to score movies 30, 40 years ago. And there’s a benefit to that from a musical perspective. When you’re writing like that and you aren’t writing to picture with dialogue and sound effects and your music is completely uninfluenced, you’re literally creating the whole scene with your music. Sometimes when you write to picture and you have dialogue in there and backgrounds, your music is really shaped sometimes by, oh, there’s a lot of sound effects right here, therefore I’m not gonna do anything with the French horns in this moment right here because it’s going to clash with this. Your music becomes less musical and more functional in that median. A lot of times when I start a film, I always write suites, to avoid having the music be too influenced by dialogue and sound effects. And then once the suite gets approved, then I’ll start applying that—stop and start thinking about some of those other things. But I think it’s always kind of the kiss of death when you start writing music right away to film to actual scenes and not kind of have a general idea of what you want to do before you start applying the music to the picture. I really enjoy working in video games for that reason, just because it usually yields really musical, vibrant scores. In a lot of ways, I think that’s why John Williams’ music is so musical and vibrant and so colorful. It’s because he approaches films in that kind of manner. It’s not like you just get up, get the film, and start writing to a scene with dialog and it right away as you’re conceptualizing your score for the movie, there’s a whole process that kind of needs to happen before you even get into that side of it. Video games force us to work in that in that manner as well. I think you’ll notice not just in Spider-Man, but in a lot of video game scores, the music is very vibrant and very musical and it’s a great, great medium for composers to work in. PSLS: So you’re kind of a jack of all trades here, especially now, just getting into video games within the last few years. You’ve done movies, you’ve done television, you’ve done all these different genres and ideas for, for scoring and film composing. We’ve heard the name Han Zimmer come up now, John Williams—is there anybody on the video game side of things, video game specific composers that you’ve looked to or really enjoyed their work over the last few years as you’ve gotten into that side of things? Paesano: I love Jeremy Soule’s stuff for Skyrim. I really enjoyed that score a lot. I mean there’s so many. There’s just been some great—you know, Gustavo [Santaolalla]’s stuff for The Last of Us was really cool and different and unique. I love Henry [Jackman]’s stuff and Uncharted. What’s interesting now is all those guys that I kind of know, [they are] my peers and stuff in the film world. They’re kind of in this world as well. But, um, I don’t even know if there’s guys who are just purely [game] specific. When I worked on the Mass Effect stuff, I got a chance to listen to a lot of the older Mass Effect scores, which I thought were really fun and cool. I mean, the stuff for Battlefield is amazing. [Johan Söderqvist] does an amazing job on that stuff. I mean, there’s so many good guys out there. It’s just, um, and like I said, I was a fan of film scoring before I even got into it. That’s all I listened to when I was a kid were film scores. So I’ve always just been a huge fan of it and it’s just one more medium to kind of give me more ways spend my money. There’s definitely no shortage of amazing writers in this world and video games just kind of adds one more genre I really enjoy. I tend to enjoy a lot of the games that are—everything I listed is more or less big cinematic either RPG or open world stuff and I really kind of enjoyed that genre. Horizon Zero Dawn stuff is really cool, I like how they did the concept of that score and also the Detroit stuff. I thought it had a real opportunity to be a real disaster by getting three guys to do three different characters and you kind of go into it going, “man, I don’t know how they’re gonna make all this feel fluid and make it all work.” I gotta hand it to ’em they did an amazing job getting all of us in sync with each other and giving all those characters their own world and stuff. It’s just really fun. The other cool thing about the video game world is that they’re just doing things with music conceptually that’s just not being done in the film world, the fact that it is not linear, you get some really cool, amazing scores. PSLS: Awesome. Well, lastly, looking at your video game profile here, you’ve done three very high-profile games. Is this a space that we can expect to continue to see you in? Paesano: Absolutely. Yeah, for sure, listen, I see this as kind of the future, you know what I mean? I was saying in another interview, if you ask a kid, “hey, do you want to go watch Spider-Man or do you want to go be Spider-Man?” I think the kid’s going to say “I want to be Spider-Man.” And I think video games allow you a very intimate experience into that world, especially now with all the VR stuff happening, I just think it’s the future. I think, it’s a world that I really, really enjoy writing and it’s extremely creative. The process really lends itself well to a composer’s skillset. So absolutely, I’m going to be working in it, hopefully for the rest of my career. We’d like to thank John Paesano for taking the time to talk to us about his work on Marvel’s Spider-Man. The Marvel’s Spider-Man soundtrack will be available later this month for both digital purchase and on physical limited edition vinyl.